Kids cannot be forced to learn musical instruments. That is why I waited years for my son to ask that he be given lessons in guitars. That day finally arrived. Watching me jam with his cousins encouraged him to study guitars, finally. I made him try my dreadnought, but it was too big for him. My telecaster is thinner and has a small neck width, but he complains that it is heavy. He knows what he wants – a small-body acoustic guitar of his own. Thus, my search for an acoustic guitar appropriate for a small, ten year old kid began. There are no guitar superstores in the Philippines. What we have here are stores mostly selling brands that are exclusive to them. All of them are inside malls. However, it is hard to find a mall that has all the music stores under one roof. To make it worse, I live in a province with only one store selling a few branded guitars. Do not get me wrong. I learned to play using cheap, local guitars. However, the quality of a US$50 guitar today is quite low. I want to buy him a guitar, not a toy. If he quits, then I will simply sell the guitar. My target guitar is a small-body acoustic with a solid spruce top at a budget between US$150 to US$300. The nearby store yielded nothing. Looking for a budget solid top is a challenge, and looking for a small-body acoustic is even harder. Since the big city is about 130 km away, I searched the online catalogs of Philippine music stores instead. My first candidate was an Epiphone EL-00. However, some suggested that the lower bout might be too big for my small son. A Yamaha JR1 was suggested, but it is not locally available and I prefer to test a guitar before buying. Phoebus Baby guitars are small, but I prefer spruce to pine tops. I was running out of options so I decided to try the used guitar market and I found a Loar LO-216. The owner refused to give a good discount and I figured that it would be my last option. While in the big city, I tested a laminated spruce top Alvarez RT-26, but I was not impressed with its workmanship. I tried the Baby Taylor, but only to hear how it sounds since it is out of my budget. A Gretch G3500 caught my attention though I was not convinced enough to buy it. I did not find other small-body acoustic guitars in my price range. I returned to our local music store and found a newly arrived acoustic that looked like a Baby Taylor: a solid spruce top Cort Earth Mini. It was loud for its size, and it sounds better than a bigger Cort acoustic. Best of all, it was only US$173. However, the finish was almost bare that you can feel the wood grains. I went back home to search for the specs and see the reviews. The guitar has very good reviews, with one tech explaining that unlike Baby Taylors, it has tone bars that make it less susceptible to humidity problems. I realize that I do not care for thick lacquers; even my telecaster has a thin nitro finish. The almost bare finish means I will not be afraid to bring it anywhere, just like a travel guitar should. I brought my son to the store and he likes the size. The sound projection was great and the tone I hear convinced me to buy it. I then brought it to a luthier to get the best action for my son. Seeing how he can easily handle the guitar makes me believe that I made the best choice. If you plan to get an acoustic guitar for your child, get a size that would be comfortable for your child to handle. I chose a ¾ size guitar and I do not regret it. 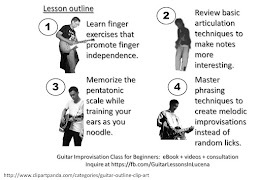 It is also advised that the guitar be setup by a tech to make it easier for little fingers. Good Read and yes, you can't go wrong with Cort's. Thanks! Cort Earth Mini OP is available at Lazer music stores in the Philippines. Thanks! How much did you pay for the adjustments? Not sure about the exact amount coz I had my acoustic set up together with my tele. I believe it was at least 600 pesos at Micsis'. There are popular luthiers who will charge much more than that so you have to ask around. Check this list for the nearest tech near you. Decide on the gauge of your strings before having it set up. BTW you can also message me at https://www.facebook.com/GuitarLessonsInLucena if you have guitar-related questions. For guitar set up I recommend a real luthier or guitar tech. Those at the store can only adjust the truss rod and nothing else, and I was not charged for that. Good read Roy. Very nice info on how to select guitar for kids. This is a very high quality guitar and set that comes with everything you need to start playing as soon as it arrives. My son has played for years, and when he reviewed it, he was very impressed. It is a great guitar with a beautiful look and sound. I love that the set also comes with a ton of accessories. The tuner is perfect since you want to get that perfect sound right out of the box. The stand and case are awesome for storing your guitar when not in use. The strings are necessary for upkeep and there are also a couple other great additions that make this a wonderful set that I highly recommend. thanks sheare this information its great.